Challenge: As a form designer, I want to simplify the form presented to the user, so users only need to complete the minimum number of fields (Visibility). Example 1: I want to capture specific information about certain entries. A great example is a car accident - I want to ensure that the user captures the car details including the registration number and the driver’s license number so that I can initiate an insurance claim (Visibility/Mandatory). Example 2: Our company policy mandates that all gifts are recorded but when a gift is over $100 you must seek approval from your manager. I want our gift register to back this up (Visibility/Mandatory). When a user selects a gift value that is above policy, I want to colour the field on the value selected. Solution: These are some of the many challenges that conditional fields set out to solve. They bring your forms to life by allowing you to change the properties based on the user entry. Add rules to enable you to show or hide fields, force a user to complete a field by marking it required, set the colour, or set the fields as read-only all via the rule builder - with no requirement for software development or coding. To learn more, watch the video: How to make your forms dynamic, No coding required. Protecht.ERM system - Setting up conditional rules. Challenge: I have compliance assigned to a lot of different people in the organisation, but there are also lots of staff changes. I want it to be easier to assign compliance questions to people as they change roles or new people start in the company. Solution: Compliance assignment by role is the solution. Compliance administrators can assign the compliance tasks to a role instead of a user. This way, when a user changes role, the compliance will move to the new person performing the role. It’s a great way to manage promotions, new staff and internal movements. Each time new compliance tasks are created, they will be assigned to the person who is currently performing the role. Protecht.ERM system - Assigning compliance questions. Challenge: As a risk manager, I want to be able to see the changes/ movement in risk over time. Solution: Historical reports open up the history of register information, and this history can be used to build reports such as changes in status over time, modification history and changes to your assessed risks over time. 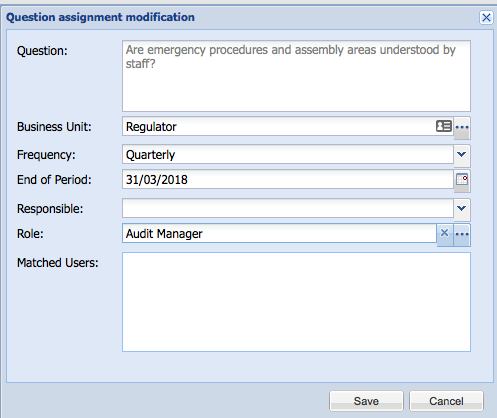 To access historical models, you first need to enable the historical models in system configuration, then enable historical reports for each register you are reporting on. Once enabled, you will see data models “historical” which you can use for your reports. 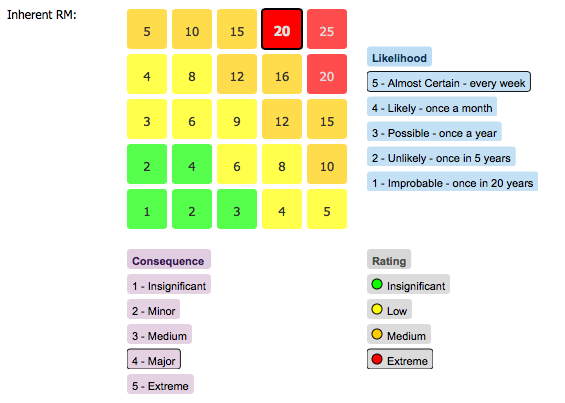 Challenge: As a user, I want to be able to visualise the risk matrix and select the likelihood and consequence directly. The user only needs to select the cell to enter all of this information at once, the score is calculated from the Risk appetite definition. Each of the new fields is available for workflow, dashboards and reports. Protecht.ERM system - Risk Matrix. Challenge: As a user, I want to be able to attach files to my entries faster. Solution: The new attachment field supports drag and drop - attachments can be dropped on to the field and will be added. Alternatively, the user can continue to select the file in the existing way. Challenge: As a user, I want to be able to move data from my legacy applications into Protecht.ERM. Solution: Import and export capabilities have been added to most areas of the product. You will see the import/export button on each of the screens that support it. Import and export uses standard CSV files to import and export the data; the field names match the registers or other types of fields to make it easy to match them. If you are unsure of the format, you can access the template from the import button. Alternatively, export some of your existing records. The export functionality also allows you to perform bulk updates to the exported file, which can then be imported back into the register, updating the original records. To learn more, watch this webinar recording a demo of the Protecht system. Challenge: As a user, I want to be able to see other items that link to the entry so I can quickly open them. Solution: The “Linked To” field displays all of the register entries of different types that the object is linked to. This makes it easy to see where the entry is referenced and you can open the referencing object directly by clicking on it. Protecht.ERM system - Linkage Field. Do any of these issues sound familiar? As you can see, you are not alone. 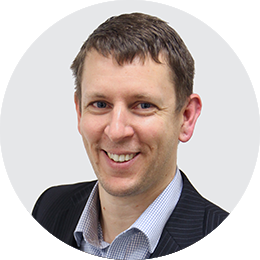 If you would like assistance identifying your specific needs and exploring different ways we can help you, please request a Free Initial consultation here. You can also call Adel Fakhreddine, Protecht's Senior Business Development Manager APAC on +61 02 9098 5013. A big thank you to Stéphane Seguin, Head of Development at Protecht for his valuable contributions to this article.